Each year, trade show displays get a little more sophisticated. 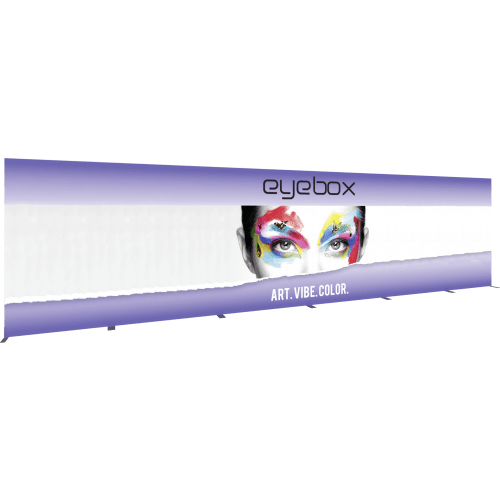 Although there are plenty of times when you can reuse a particular product for a few seasons, this is the year to recycle the old banners stands for new fabric banner displays. What are your options? Fabric banners install on aluminum frames. But how do you want the product to look? You know of straight and curved presentations, but how about a setup that gives you the option to choose a convex or concave display mode? The graphics go onto a pillowcase fabric that closes with a zipper. Now matter which appearance you prefer, the fabric is always taut. If you have already been playing around with curved back walls, you cannot afford to continue with the same tired, straight banner setups. Another option is the use of a modular frame. 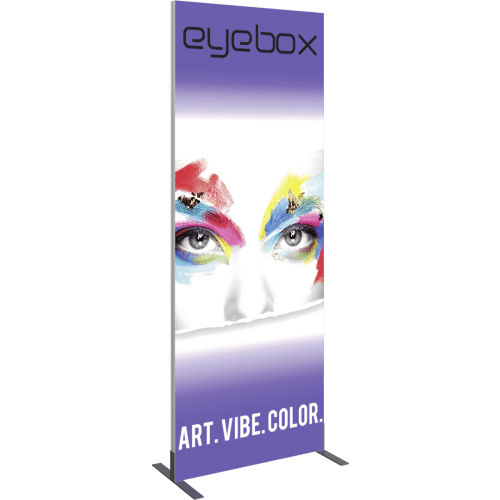 It gives you a graphic width of 32.5 inches with a height of 96.25 inches, which is most certainly sufficient to get plenty of attention. The modular construction allows you to design your preferred look, which lets you combine multiple frames for a unique appearance. All you do is snap together the aluminum clamps. 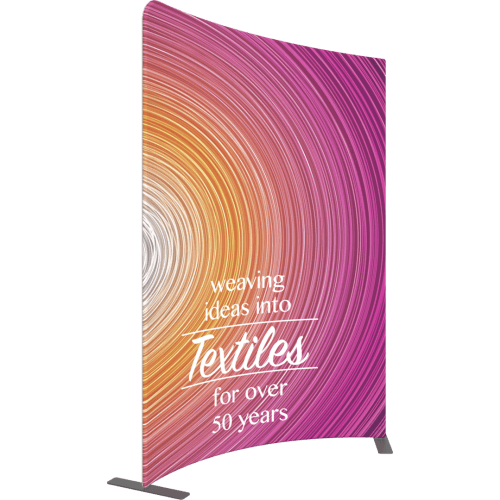 With individualized pillowcase fabric presentations, you might even turn one banner stand into a display for multiple products. If you have grown tired of the backdrop setup, there is now another option. Envision the use of a single frame that holds a customized fabric image you want to feature. Measuring 354.25 inches in width and 94.38 inches in height, this item is ideally suited for larger booths (but there are shorter versions, too). 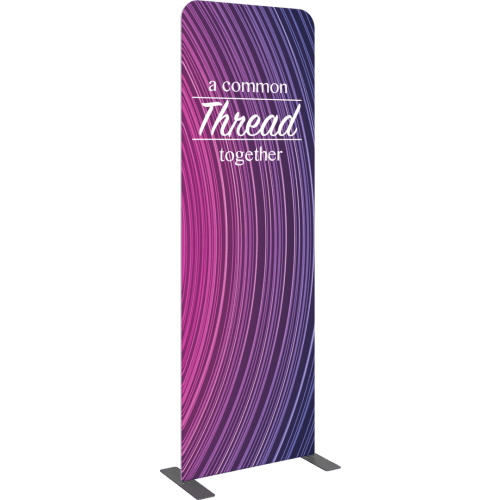 A double-sided presentation allows for marketing and branding to trade show attendees who are walking behind the display. Optional light accessories let you create impressive areas of interest at various stations. When the use of after-market light sources is not something you like to do, just opt for a fabric banner display frame that has the LEDs built in already. Snap it together, add the fabric banner, and plug it in. How easy is that! As usual, you can choose from a single or double-sided setup. The banner’s width is 32.13 inches while its height measures 94.38 inches. If you already have a trade show booth setup in storage, discuss your plans with our business sign experts. 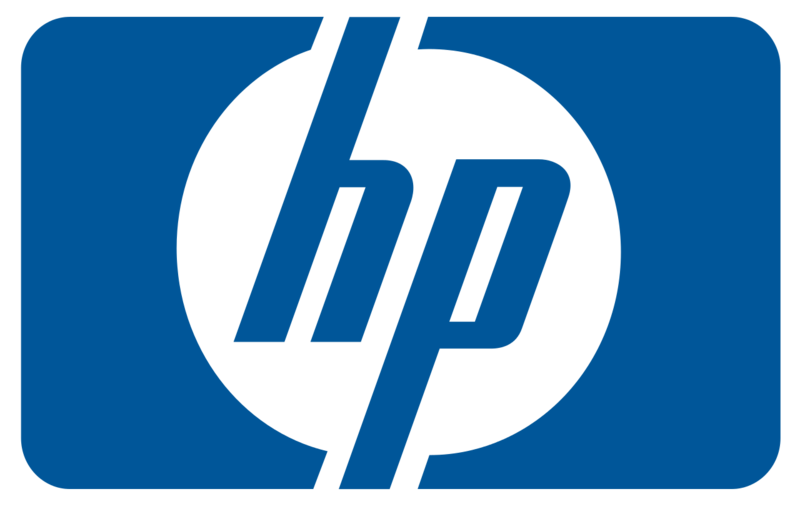 We work with you to keep as much of the products you already have intact and functional. If there is a need to replace outmoded pieces with those that are new and demonstrate your innovative design strategy to a critical audience, we help you select the types that make the most sense. When you are outfitting a booth for the very first time, we help you put together style elements that harmonize and allow you to switch them around at the next expo. Doing so ensures that you present with a fresh look at all times.